Let's chat about "One Snowy Day", shall we? It's probably a reality most New Yorkers will be living soon seeing as some snow is on its way. It's ALSO a great book by Jeffrey Scherer! The story is adorable. 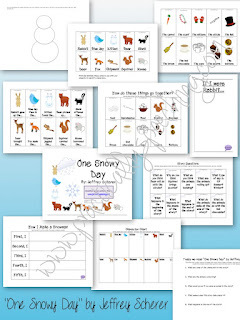 A bunch of animals each bring something to make a snowman. They all work together to build the snowman, including rolling the snow and decorating it. 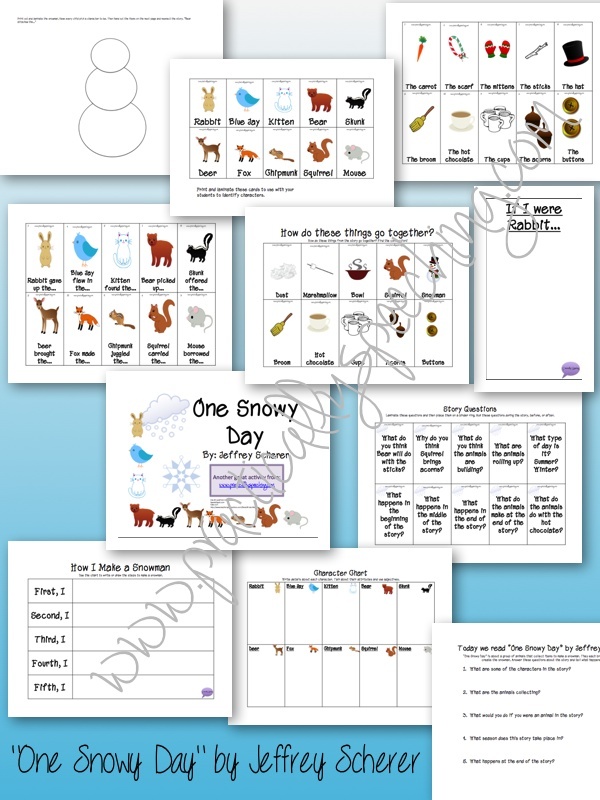 It's a great story for vocabulary, sequencing, and categorization. Plus, it's an early-reader book meant for kindergarten/1st grade so it's basic enough that you can branch up or down easily.